Jackie Robinson broke the color barrier in modern baseball, paving the way for a more ethnically diverse and representative group of players in Major League Baseball. In the face of insurmountable odds and discrimination, Robinson was poised to represent himself in a respectable manner with a winning, competitive spirit. Here at MMAR, we wanted to review some of his famous quotes and imagine how they might’ve inspired athletes who came after him. Enjoy. Starting this article with Tiger Woods might be divisive, and plenty of people have their opinions about the man off the golf course. One thing you can’t deny is Woods’ competitive spirit. After an arthroscopic knee procedure didn’t do the trick two months before the 2008 U.S. Open, Woods fought through intense knee pain to win the tournament in a playoff round against Rocco Mediate that has been heralded as one of the best 1x1 competitions many have seen in recent golf memory. It was Woods’ 14th Major golf championship. Back in the fall of 2004, the Boston Red Sox were trying to do the impossible: beat the New York Yankees in four straight games after falling behind in the best-of-seven American League Championship Series 0-3. They turned to a determined yet hobbled Curt Schilling to take the mound in Game 6 with a torn tendon sheath in his right ankle. Schilling hated to lose and didn’t want to be the one to end the Red Sox season. The result? Seven innings of pitching brilliance while fighting through pain and soaking his sock in blood. The Red Sox went on to win the ALCS and the World Series. Okay, okay, we’re stretching a bit with this one back before Robinson became a famous athlete, but Olympian Jesse Owens’ performance in the 1936 Berlin Olympics speaks to racial acceptance and freedom across the board. Despite the obviously tense situation in Germany with Adolf Hitler and the Nazis in power, Owens became a household name by winning four gold medals. 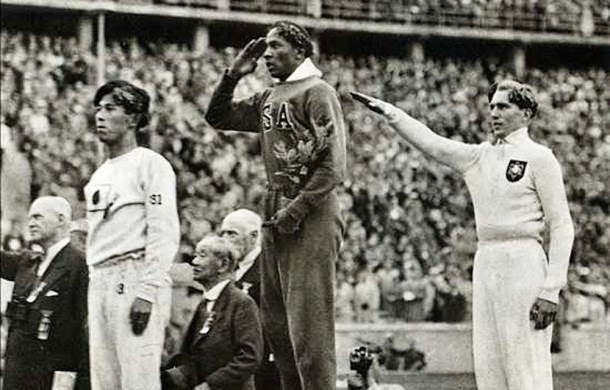 It may have been several years later before the Nazi regime’s control ended, but a simple showing of sport and athletics by Owens spoke volumes for how the rest of the world felt about the unrest going on in Europe. One of the most underrated baseball players in terms of skill and his impact on the world was Roberto Clemente. Widely considered to be the Latin American player that opened the door to Major League Baseball for future Hispanic generations, Clemente saw the importance of using his fame and fortune for good. He regularly involved himself in charity work throughout his native Puerto Rico and other Latin American countries, providing children with baseball equipment to encourage the spread and popularity of the game as well as delivering food to needy families. Clemente truly understood the importance of impacting others with his life. MLB recognized it, too, making him the first Latin American inducted into their Hall of Fame and creating an award in his honor given to players that put charity first. Baseball is like a poker game. Nobody wants to quit when he’s losing and nobody wants you to quit when you’re ahead. Boston Celtics point guard Rajon Rondo certainly didn’t want to quit against the Miami Heat in Game 3 of the 2011 NBA Eastern Conference Semifinals when his team was losing. After dislocating his elbow in the middle of the game, Rondo got his elbow set, treated as much as it could in the training room, and then came back out to finish the game playing one-handed. Nobody wants to quit when he or she is losing. Boston would win the game but unfortunately lose the series. Adversity and challenges in sports are part of what make them more than just games. They become tools for learning, improving, inspiring, and growing as a person. Visit MMAR Medical to see more ways you can improve and grow as an athlete, and sound off in the comments section below to tell us about times you overcame adversity or injury in sports to be a stronger, better person.